Manufacturing ventures entail risk, and food processors increasingly are partnering with other food companies to mitigate the risk of new-plant projects. The Age of the Plant Partnership is upon us, if the greenfield projects currently under way in the food industry are any indication. Colocation of a key supplier’s operations adjacent to a food or beverage production plant is not unusual, provided throughput is sufficient to justify it. When Gatorade embarked on a series of new plant constructions a decade ago, blowmolding facilities usually were built on the property, with a corridor delivering PET bottles just in time. And when Beef Products Inc. set up shop in Dakota Dunes, S.D., for its meat recovery process, trim meat from the Tyson packinghouse next door arrived via an enclosed conveyor line. But a new breed of plant partnerships is cropping up. Perhaps it’s a risk mitigation strategy or an effort to share the cost of multi-million-dollar projects, but collaborations between food companies are becoming more common. Available cash and perhaps access to a credit facility underwrite greenfield projects and major plant expansions, sometimes over the course of several years’ budgets. A Hershey Co. confectionery plant that came on line last year in Malaysia accounted for almost one-third of the company's 2015 capital expenditures, though the plant’s total price tag of $270 million was spread over three years. Sharing the cost of projects of that magnitude may account for an uptick in joint projects. For a new pork plant in Coldwater Township, Mich., Pennsylvania’s Clemens Food Group LLC forged a partnership with Cooper Farms, an Ohio turkey processor. Sharing the cost of a $255.7 million project – which represents about 70 percent of Clemens’ annual sales – has obvious appeal. Seaboard Foods and Triumph Foods formed a 50/50 partnership last year for a pork processing facility that will come on line next year in Sioux City, Iowa. For Seaboard and Triumph, joint ventures are standard operating procedure: The two companies also share ownership of bacon processing plants in Salt Lake City and Missoula, Mont. J.R. Simplot Co. could have self-funded a $100 million packing house under development in Kuna, Idaho, but it chose to go the joint venture route with Caviness Beef Packers, Amarillo, Texas. Caviness may be 1,200 miles away, but core competency, like currency, travels well. Wayne Farms LLC hasn’t struck any formal partnerships with other food companies, but some downstream customers who are described as business partners are re-shaping its production. Wayne’s Dothan, Ala., discontinued deboning and other further processing after Ala-Trade Foods contracted for the facility’s entire capacity of whole birds, or wads. That resulted in the layoff of 580 workers, but 500 new jobs are being created by a Dothan expansion that will double the plant’s capacity. The scenario is being repeated at Wayne’s Laurel, Miss., facility. 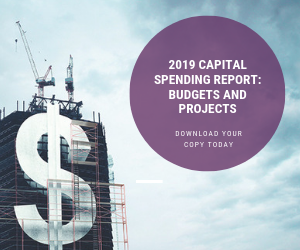 Greenfield projects are the rock stars of CapEx, a budgetary category that typically equates to about 3 percent of company revenues in any given year. Analysis of spending by 46 publicly traded food companies bears this out. In 2014, those companies doled out $15.6 billion in capital expenditures, a figure equal to 3.49 percent of 2014 sales. A dozen of those corporations experienced sales declines in 2015, and aggregate capital outlays dipped to $14.7 billion. Still, that represented 2.94 percent of total sales. All told, those 46 companies anticipate $21.3 billion in 2016 CapEx spending. If the last two years’ pattern prevails, actual spending will be about 88 percent of that. (Budgeted capital funds for Monster Beverage Co. have been excluded from calculations. Monster’s 2016 CapEx budget of $2.8 billion is 23 times greater than 2015 spending and exceeds 2015 revenues. It includes the acquisition cost for American Fruits and Flavors plus share repurchases). Adding production capacity is easier to justify when market demand grows or raw materials are abundant. Those factors are reflected in many of today’s plant projects. Distilled spirits in general and bourbon whiskey in particular illustrate the impact of demand. In the past two years, Kentucky has seen $581 million in bourbon and brewing projects, with more on the way. Drinkers outside the U.S. are getting their first taste of this distinctive American spirit, and they like it. Bourbon necessarily is distilled and aged in Kentucky, but greenfield activity has spread to Tennessee, usually on a smaller scale. One exception: Jack Daniels recently announced a $140 million expansion at its Lynchburg, Tenn., distillery. More typical are the boutique distilleries sprouting in the Smoky Mountains area, where entrepreneurs are creating their own state’s version of the Bourbon Trail. Two-year-old Sugarlands Distilling Co. typifies the trend. Initial production focused on moonshine, defined as whiskey that hasn’t been aged. This year, Sugarlands has added American whiskey to the mix. “We’re ground zero for the Tennessee Whiskey Trail,” reports Sugarlands’ Jay Miller. A dozen boutique distillers have cropped up within an hour’s drive of the firm in Gatlinburg, Tenn., where Sugarlands is drawing close to one million visitors a year, according to Miller. Whiskey is for sipping, beer is for quaffing, and the craft segment continues to experience the kind of growth that drives capacity expansion and new brewery construction. Sixteen new regional craft breweries started production in 2014, and almost as many existing ones – such as Tallgrass Brewing in Manhattan, Kan. – have commissioned new brewhouses that significantly boost capacity. Craft’s continued growth is taking a toll on major brewers. MillerCoors will close its Eden, N.C., brewery in September. In 2014, Eden produced 7.1 million barrels, an output equal to 50 percent of the throughput growth by regional crafts from 2004 to 2014. Eden’s shutdown is bad news for the brewery’s 520 employees; on the other hand, per worker productivity is significantly higher at a highly automated brewery than at a local or regional craft brewer, so the net impact of changing beer preferences is positive job growth. Craft beer’s growth is boosting upstream supply-chain activity. Hop cultivation has returned in the province of Ontario after a long absence, with the new growers organizing under the umbrella of the Ontario Hop Growers Assn. A poor 2015 harvest in Germany promises to put a squeeze on hop supplies this year, ensuring an eager base of regional craft brewers who lack the forward-buying contracts that lock in supplies for major brewers. Malted barley is beer’s main component, and craft brewers use twice as much malt per unit of production as the majors, points out William Rahr, president and CEO of Rahr Corp., Shakopee, Minn. Rahr is in the midst of building a new malt house that will increase annual malting capacity by 70,000 metric tons. The project represents the first malt-capacity expansion since the early 1990s, and it isn’t the only one. GrainCorp, an Australian company with three malting facilities in North America, is in the midst of an expansion at its Pocatello, Idaho, plant that will more than double capacity to 220,000 tons. The project is expected to spur expanded barley production and other economic activity valued at $350 million. And Briess Malt & Ingredients Co. reopened a Manitowoc, Wis., malt house that was shuttered in 2012. Briess operates three malting facilities. Besides Wayne Farms, several other poultry projects in that $50 billion industry segment are in the works. Pilgrim’s Pride, Perdue, Sanderson Farms and Tyson are among the processors with major projects planned or in process. Domestic chicken consumption continues to rise, but global demand for chicken is the real engine for growth. Worldwide, poultry consumption is expected to increase by more than 52 billion lbs. in the next decade, or about 26 percent, reflecting both population growth and increased per-capita consumption. More automation is occurring to meet the growing demand. Deboning accounts for about a third of poultry processing’s workforce, and machines are rapidly replacing deboning workers. Shai Barbut, a meat scientist at the University of Guelph in Ontario and author of "The Science of Poultry and Meat Processing," calculates that one-quarter of U.S. deboning now is done mechanically. When automated deboning machines were introduced 35 years ago, poor force control created bone fragments, and yields were considerably lower than manual deboning, Barbut notes. Today’s machines still can’t match yields from the most-skilled workers, but better force control and higher speeds, along with rising labor costs and injury rates, are accelerating the movement toward automated deboning. The shift is reflected in more specialization, exemplified by partnerships like Wayne Farms and Ala-Trade. With rare exceptions, food products make multiple stops between the farm and the home or restaurant. Adding value is the essence of food processing, and the more value added, the closer the juxtaposition of food plants and farm fields. That’s the justification for the Simplot-Caviness partnership. When CS Beef Packers opens its abattoir doors, it will become the local processing center for a region with 1.2 million dairy cows and beef cattle. The closest current packinghouse is in Fresno, Calif.
Chobani’s yogurt plant and Glanbia’s cheese and whey plants are the highest profile milk consumers in southern Idaho, and Chobani recently announced a major expansion to its four-year-old Twin Falls facility. But Chobani’s consumption is a drop in the milk pail of regional availability, according to Rick Naerebout, operations director for the Idaho Dairymen’s Assn. Growth in output per cow since 2012 has supplied enough milk to satisfy Chobani’s need. The bigger drivers for Idaho dairy are Idaho Milk Products and High Desert Milk, farmer-owned processors that started up in the past eight years and are in the midst of their own expansions. Both plants rely on exports of value-added dairy ingredients for a big chunk of sales. Logistics also played a role in Walmart’s decision to build a fluid milk facility in Fort Wayne, Ind. The plant, which will process store-brand milk for 600 Walmart stores, will soak up much of the 4 million lbs. of Indiana milk that currently leaves the state each day for processing in surrounding states. Economic development agencies are beginning to recognize the symbiosis of raw materials and food processing and are tailoring their incentive programs accordingly. Site location decisions are based on many factors, from job training and labor availability to transportation and market proximity. Financial incentives help, and one that more processors are beginning to avail themselves of is the New Markets Tax Credit. Premium Peanut LLC tapped into that credit when building a $50 million shelling operation that started up in January in Douglas, Ga. It is the first new U.S. shelling plant in 12 years, according to Karl Zimmer, Premium’s CEO, and the more than $6 million in investor tax credits it generated was “absolutely critical,” he says. The facility is expected to stabilize the market for Georgia peanut farmers who previously faced uncertainty over whether there would be a buyer for their crops. To qualify for the credit, a facility has to be built in an economically distressed area. Other recent food-related projects include an anaerobic digester operated by Foremost Farms in Richland Center, Wis., and Commonwealth Dairy in Brattleboro, Vt. Commonwealth, which produces private-label yogurt for the retailer Aldi, took advantage of the credit when it built its processing plant in 2011 and again in 2013 when the facility was expanded. CapEx projects have to make economic sense in the first place, or they don’t get done. A country with agricultural riches that extend well beyond amber waves of grain is well positioned for growth in the growing global food market, and partnerships between farmers and processors and joint food-company projects can help exploit that opportunity. With economic growth still slow, states and municipalities are willing to pony up to get you.